In the evening March 6 MRCC Spain coordinated search and rescue of the Master of freighter German Sky in Gibraltar Strait. 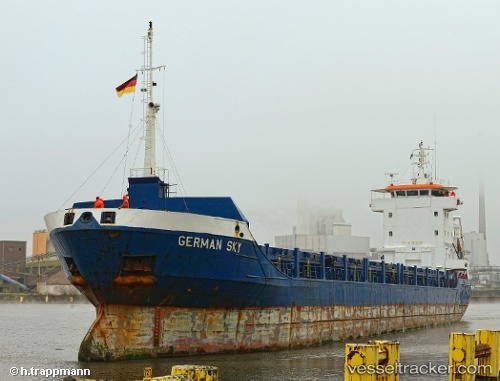 The vessel reported missing captain, 39 years old Russian citizen, at around 2130 LT, saying that the last time the crew saw captain was 1800, vessel at that time was some 12.5 nm SW of Punta Camarinal, Gibraltar. MRCC Tarifa mobilized helicopter and two vessels, navigational warning was issued to all the vessels in the area. At 2340 captain was spotted by a patrol ship and lifted out from water, he was alive but with symptoms of hypothermia. Rescue helicopter evacuated the captain from the patrol ship and took him to Jerez, Cadiz.